It seems like yesterday that I was reading O’Dwyer’s every week while attending Syracuse University learning about the industry and its people. The leading firms and their revenues. 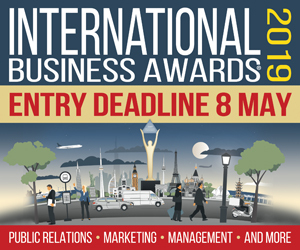 The deals and the award-winning programs. The movements between agencies and corporations. People’s titles, comings and goings, and promotions. The intrigue at PRSA, IABC, and Page. Most of all, this weekly ritual provided a peek into the author himself. Acerbic, bright, intuitive, curious, with his pulse firmly on our profession always, Jack O’Dwyer was both feared and respected. My weekly ritual kept me energized and in tune with the business I was about to enter. Fast forward to 2008. I had founded my firm, then known as WeissComm Partners, in 2001, and had just sent in my first revenue information for 2007 to O’Dwyers. At that point in time, our firm achieved $13 million in revenue. Not long after sending in our information, I received a call from Jack himself. His question while a bit jolting was typical of this unique man. “Who the ‘F%#!’ are you and where the hell did you come from, is this for real?” he blurted into the phone. And so began a relationship that has lasted until today as W2O Group, now with more than $150 million in revenue and 700 people, and has not only grown but evolved multiple times and O’Dwyer’s has expanded its remit and coverage to reflect a hyperconnected world catalyzing technology, business, innovation, talent, ideation and results. Over the years, we have come to rely on O’Dwyer’s to capture the current state of various sectors – Healthcare, Technology, PA, Corporate Communications, Fashion and Beauty, and Media, to name a few – providing smart commentary and perspective along with the movers and shakers in the agency and corporate worlds. We have certainly had our differences as anyone would interpreting situations and events but have always respected each other’s point-of-view. They’ve covered a lot of ground over the last 18 years. Our industry has been upended in new and disruptive ways. The emergence of data and analytics. The rise of influence. The importance of relevance over reputation. The defining brilliance of insight in achieving precision. The coexistence with marketing in a digital world. The acceptance of all of this as a strategic imperative for organizations and brands. These changes paint a picture of a world that didn’t exist when O’Dwyer’s began some 50 years ago. And not in 2001 when my firm was retained by its first client. 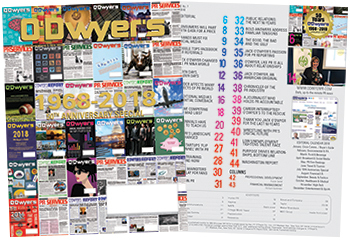 O’Dwyer’s has kept up and stayed relevant over the last 50 years amid incredible change – new competitors, new media, new expectations, new challenges. They’ve done so by cutting through the clutter, keeping it clear, concise, and getting to the point. It’s always about knowing your customers, employees, and key stakeholders to ensure knowledge is exchanged and opinions shared. O’Dwyer’s continues to provide what its audiences need to conduct business every day. Nothing moves forward without individual accountability. It’s a hallmark of our firm and of life. Our dealings with O’Dwyer’s are always based on being accountable. At the core must be a belief and practice to treat each other fairly and equitably. This has been O’Dwyer’s mission from day one. No amount of technology and progress will ever get in its way. Celebrating its 50-year milestone, O’Dwyer’s has earned its rightful place at the birth and development of this increasingly significant profession. For a young entrepreneur with dreams of becoming a meaningful member of this special group, O’Dwyer’s was the guiding force in keeping me interested, intrigued, and motivated. With that, I wish everyone there continued success and prosperity. Jim Weiss is founder/CEO of W20 Group.